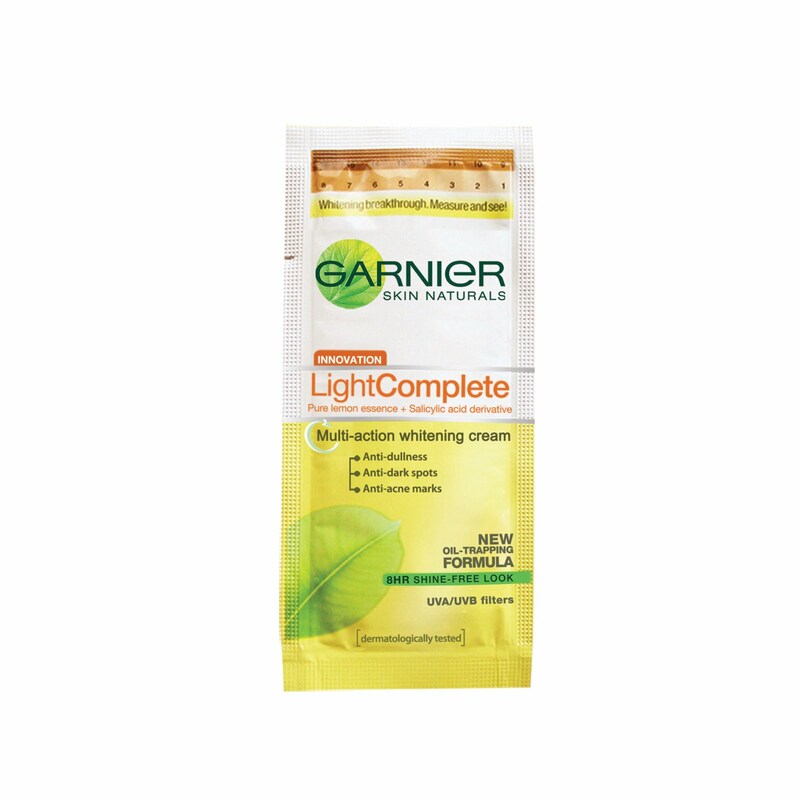 Garnier Light Complete Multi Action Whitening Cream Reviewed! To control oil and shine on my face. To help fade my acne marks. As make up base/ as a substitute for face powder as it gives a matte finish. I've been using this product for 2 weeks now. I'm using it in combination with other products as well. The cream is a bit thick, I guess but it does give you that matte finish after application. It's got this lemony scent which I don't like that much but I don't despise either. As for the "anti-dullness" effect, well, i am not sure about this.. the product does make your skin look better after application, but haven't noticed much of a difference yet. As for the "anti-dark spots" and "anti-acne marks" effect,s the results are satisfactory. I've noticed scars have lightened up a bit. The product seems to work slow in fading out acne marks. UVB affects the outer layer of skin, the epidermis, and is the primary agent responsible for sunburns. It is the most intense between the hours of 10:00 am and 2:00 pm when the sunlight is brightest. It is also more intense in the summer months accounting for 70% of a person's yearly UVB dose. UVB does not penetrate glass. UVA was once thought to have a minor effect on skin damage, but now studies are showing that UVA is a major contributor to skin damage. UVA penetrates deeper into the skin and works more efficiently. The intensity of UVA radiation is more constant than UVB without the variations during the day and throughout the year. UVA is also not filtered by glass. I think, it's a good thing to have UVA and UVB filters in this product. 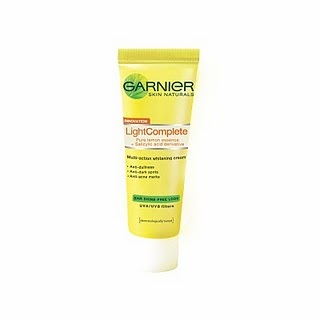 But to be safe, I use sunblock a few minutes after application of the Garnier Light Complete Multi Action Whitening Cream. The product deserves a thumbs up for me! No breakouts! Acne marks are sloooowly fading. (still better) and the product somehow makes me oil free, although for only a little span of time than as indicated on the product. But yeah, anything that helps me stay oil free is good, right? So if you have oily skin that is really annoying, you can try this product and see if works for you. Bear in mind that people react differently to beauty products. 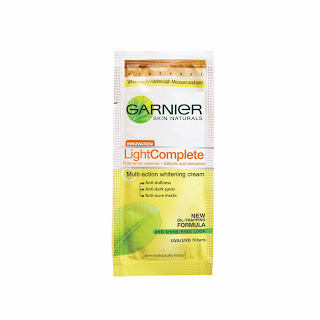 Your skin might just love this product. Just do a skin test first if you fear getting breakouts.